On Sunday morning, the Russian Defense Ministry's Tu-154 aircraft en route to Syria with 92 people on board crashed into the Black Sea shortly after refueling at an airport in the Russian resort city of Adler. 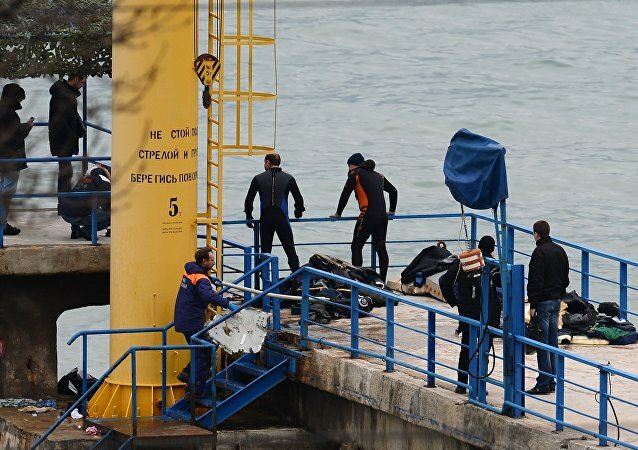 Fragments of the plane were discovered 1 mile from the sea shore of Sochi. Most of the passengers were members of the famous army choir of the Russian armed forces, the Alexandrov Ensemble, who were traveling from Moscow to Hmeymim airbase in Syria to put on a New Year concert for Russian troops deployed there. Nine journalists of Russia's TV channels and famous Russian humanitarian activist Elizaveta Glinka, also known as Dr. Lisa, were aboard the plane as well. The search operation in currently underway. 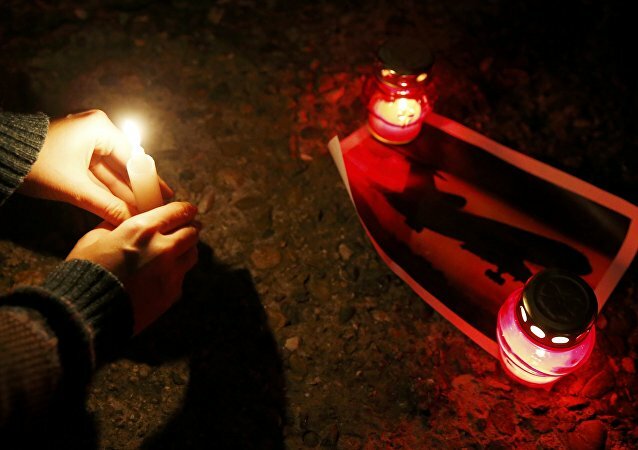 Politicians, officials and ordinary people all over the world have expressed condolences following the crash of the Russian Defense Ministry's Tu-154 plane heading from Moscow to Syria with 92 people on board, including the famous Alexandrov Ensemble members, a prominent humanitarian activist and nine journalists, near resort city of Sochi. "At night time, the operation in the area of the crash is carried out non-stop and will continue around the clock. The ships in the coastal zone are equipped with high-capacity lighting floodlight installations. The units of the Southern Military District conduct a visual check of the coastline to detect any items related to the plane crash," the Russian Defense Ministry said. 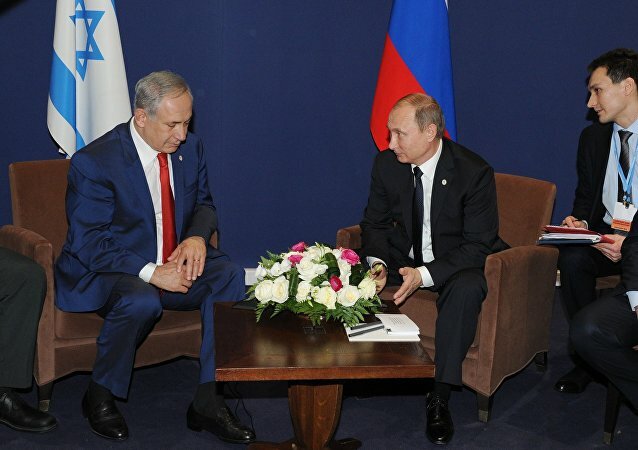 "Israeli Prime Minister Benjamin Netanyahu expressed his deepest condolences over the Russian Tu-154 plane crash in Sochi to Russian President Vladimir Putin in a phone call," according to the Kremlin. "The supposed location of Tu-154 plane crash has been determined. Ships with side-scan sonar systems have started to examine the bottom [of the sea]." Alexander Zakharchenko, the head of the self-proclaimed Donetsk People's Republic in Ukraine southeast, has announced a mourning day over the deadly plane crash in Russia's south. Russian Transport Minister Maxim Sokolov said that it's "too early to say" what had caused the Tu-154 plane crash. Sochi-based journalist Kirill Lemekh told Radio Sputnik that Tu-154 crash is a "tragedy even for the city" itself. Local residents say that since the crash happened after the plane had made a stop in Adler on its way from Moscow, they see the catastrophe as "their own tragedy." "The operation on raising wreckage and bodies of the victims will be continued tomorrow morning," the Russian transport minister said. Christina Mrug, head correspondent for channel Kuban 24 based in Sochi, spoke to Sputnik in an interview about the crash of Russian aircraft TU-154 on Sunday morning. 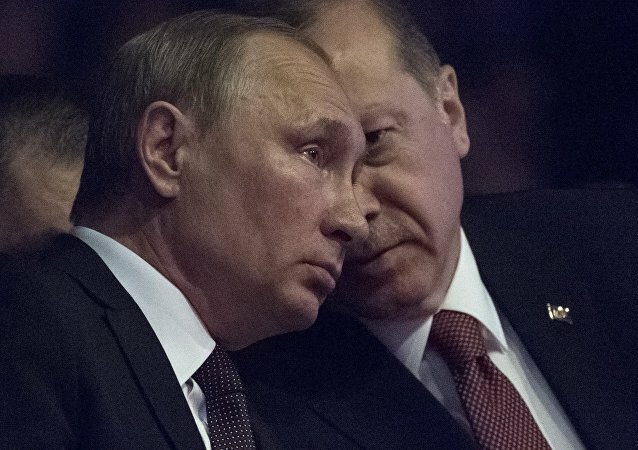 "Turkish President Recep Tayyip Erdogan called Russian President Vladimir Putin and expressed his heartfelt condolences over the catastrophe of Russian Tu-154 plane in Sochi," the Kremlin's press service reported. Earlier in the day, the Patriarch expressed his deepest condolences over the tragedy. "Pain in my heart echoed the tragic news of the crash of the Russian Defense Ministry, which occurred in the Black Sea this morning." A leading Russian singer narrowly escaped the deadly Tu-154 plane crash as he decided to stay home due to the birth of his third child. 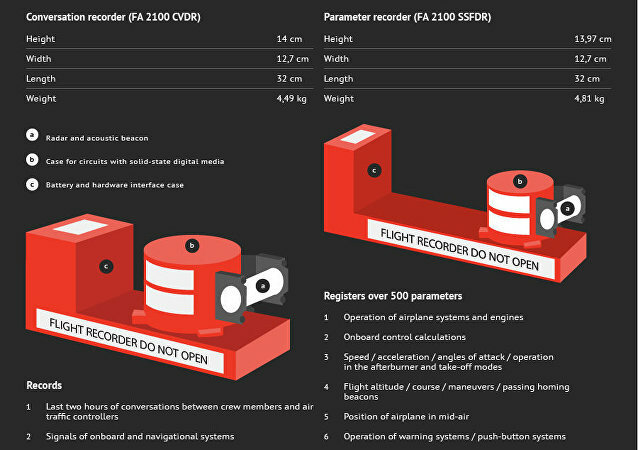 Russian Transport Minister Maxim Sokolov said that the black boxes of the Tu-154 aicraft have not been found yet, their search will be conducted on the bottom of the Black Sea, using special equipment and a group of divers. Most victims of the Tu-154 aircraft "are inside the fuselage," an informed source told RIA Novosti. A source in the law enforcement told RIA Novosti that majority of the bodies of the victims of the Russian Defense Ministry Tu-154 could be inside the aircraft fuselage. 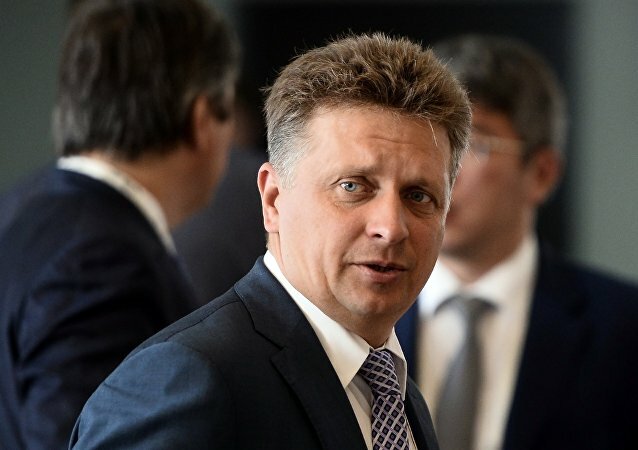 Maxim Sokolov, the Russian transport minister, said that the further work of the search operation will be guided by the Russian Emergencies Ministry. The Russian transport minister said that there is "no information of survivors in the catastrophe" yet. The Russian transport minister said that there is currently no information on the survivors in the catastrophe, adding that the search and rescue operation is still underway. 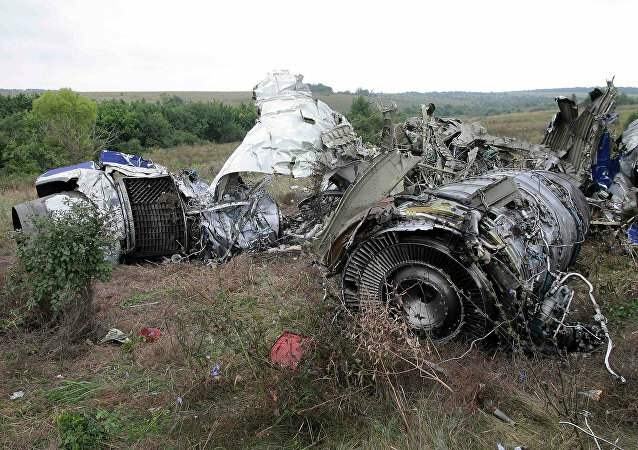 When asked about the possible reasons for the Tu-154 crash, Yuri Sytnik, a Merited Pilot of Russia and a member of the presidential commission on civil aviation, told Sputnik Radio that everything was possible, including a mid-air collision with a “foreign object,” but added that even then the pilots would have enough time to inform the airport tower about the mishap. A Russian military plane with 92 passengers and crew on board crashed into the Black Sea on its way to Syria shortly after taking off from the southern resort of Sochi on Sunday morning. — Boris Johnson (@BorisJohnson) 25 декабря 2016 г. The Russian Defense Ministry will deployed 1,300 servicemen at the crash site of the Tu-154 plane. "32 ships and boats, 80 divers, five helicopters, unmanned aerial vehicles and remotely operated deep-sea vehicles are involved in the search operation." "In addition, the transfer in 1,300 servicemen of the Southern Military District is being prepared." India and Pakistan have expressed their condolences to Russia in connection with the crash of Tu-154 in Sochi. India joins Russia in mourning the tragic loss of lives of Russian servicemen in the air crash today. — Narendra Modi (@narendramodi) 25 декабря 2016 г. Three journalists from Zvezda channel were listed as being on the flight that crashed, correspondent Pavel Obukhov, operator Alexander Suranov and assistant operator Valery Rzhevskiy. Sputnik spoke to Alexey Kharkov, the deputy director of the channel. Head of the Lugansk People's Republic in Donbass Igor Plotnitsky expressed his condolences to the relatives of those killed in a Tu-154 plane crash in Sochi. The identification of the Tu-154 plane crash victims' bodies will be conducted in Moscow, according to Russian Ministry of Transport. Russian Minister of Labour and Social Protection Maxim Topilin instructed the ministry to organize the work on payments to the families of those killed in the crash of Tu-154. The size of payments over the crash of Defense Ministry ‘s Tu-154 will be up to 7.8 million rubles for the relatives of the military personnel and three million rubles to families of civilians, according to president of the All-Russian Insurance Association Igor Yurgens. Russian Transport Minister Maxim Sokolov arrived to Sochi to hold a meeting of the commission in connection with the crash of the Tu-154 and to assist relatives of the victims, the ministry told RIA Novosti. Earlier it was reported that the Sokolov would head this commission. "Sokolov arrived to Sochi for a meeting of the commission on the elimination of the consequences of the Tu-154 crash, to assist families of the victims," the ministry stated. Russian Transport Minister Maxim Sokolov arrived in the Black Sea resort city of Sochi to hold a meeting of the state commission on the investigation of the Tu-154 aircraft crash that occurred earlier on Sunday, the ministry’s press service told RIA Novosti. "Tomorrow I'm flying to Donetsk, and from there to Syria, as well as other volunteers. And we are not sure that we will come back alive. Because the war is hell on earth. And I know what I'm talking about," Dr. Lisa's (Elizaveta Glinka) speech in the Kremlin on December 8 when Putin awarded her for human rights activities. Margarita Simonyan, the editor-in-chief of the Sputnik news agency and the RT broadcaster, expressed condolences over the crash of the Russian Tu-154 aircraft earlier on Sunday. Mourners continue to bring flowers and candles to the buildings of the Alexandrov ensemble and the fund "Fair Aid", headed by Dr. Lisa (Elizabeth Glinka) in Moscow to commemorate the tragedy. A Russian military plane taking the renowned Alexandrov Ensemble, the army’s official choir, to a concert at a Russian air base in Syria, crashed into the Black Sea on Sunday. All 92 passengers and crew on board are feared dead. US, German and French ambassadors to Russia expressed their condolences and solidarity with the Russian people in connection with the crash of Tu-154 near Sochi. — Maria Olson (@USEmbRuPress) 25 декабря 2016 г. — France en Russie (@FranceEnRussie) 25 декабря 2016 г.
Russian Foreign Ministry spokeswoman Maria Zakharova expressed her condolences over the crash of the Russian Defense Ministry's plane crash near Sochi, saying that people on board of the crashed plane "were irreplaceable". — МИД России 🇷🇺 (@MID_RF) 25 декабря 2016 г.
German Chancellor Angela Merkel and Foreign Minister of the country, Frank-Walter Steinmeier expressed their condolences over the crash of the Russian Tu-154 near Sochi. German Chancellor Angela Merkel and Foreign Minister Frank-Walter Steinmeier expressed condolences over the Russian Tu-154 aircraft crash earlier on Sunday. FM #Steinmeier: Grief over crash of #Russian plane into the Black Sea. Our sympathy is with the victims' families and relatives. Syrian President Bashar Assad has sent a telegram to Vladimir Putin with his condolences in connection with the Russian Defense Ministry's Tu-154 crash near Sochi. "With great sadness we received the news concerning the crash of the Russian Tu-154 plane, which was carrying our dear friends, who wanted to share with us and the people of Aleppo the joy of victory and festivities," Syrian SANA news agency citing the text of the telegram. Syrian President Bashar Assad extended his condolences to Russian President Vladimir Putin over the Russian Tu-154 aircraft crash earlier on Sunday. A Russian Defense Ministry Tu-154 plane heading from Moscow to Syria with a stop in Adler crashed on Sunday morning near the Russian Black Sea resort city of Sochi. Among 92 people on board was Dr. Elizaveta Glinka, or Dr. Lisa, a well-known charity activist who helped evacuate many children wounded during the Ukrainian conflict. The Russian Defense Ministry's Tu-154 crashed near Sochi was thoroughly repaired in 2014, by the manufacturing factory "Aviacor". It was the third overhaul maintenance stipulated by the contract for routine aircraft maintenance. Within the last two years no claims regarding the repair works have been received from the operator, the press service of the "Russian Machines" corporation wrote. The Tu-154 N 85572 was produced on March 29, 1983 , by the manufacturing factory Komsomolsk-on-Amur aviation production association (current " Aviacor aircraft plant "). The Tu-154, a medium-haul trijet airliner (NATO reporting name Careless) was designed in the mid-1960's and entered service in 1970. Around 1,000 were built over four decades. The design has been the workhorse of Soviet and Russian airlines, carrying around half of Aeroflot's passengers during the Soviet era. The aircraft was sold to and operated by about 17 non-Russian airlines. 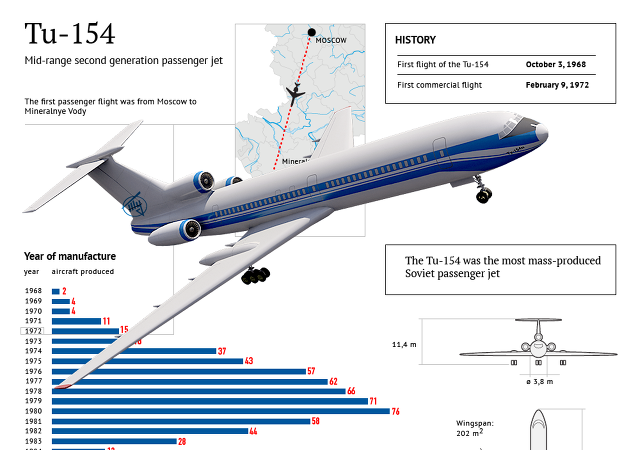 With a cruising speed of 975 km/h (620 mph), the Tu-154 was one of the fastest civilian aircraft in operation and had a range of 5,280 km (3,340 miles). With a service life of 45,000 hours, but capable of 80,000 with upgrades, the aircraft was expected to last until 2016, although noise restrictions have seen services to Western Europe and other areas banned in recent years for all but modified variants on certain routes. 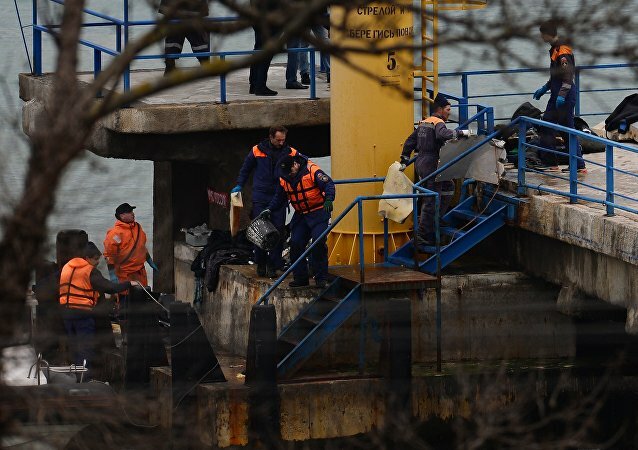 More than three thousand people participate in search and rescue operations in the Black Sea, at the crash site of Tu-154, the Russia's Defense Ministry stated. The operations also involve almost 27 ships, 37 divers, four helicopters, drones, deep submergence vehicles, the ministry added. Ten bodies found at the crash site of the Russian Defense Ministry's Tu-154, a source in defense and law enforcement agencies told RIA Novosti. Divers discovered the bodies of three more victims. The Russian Defense Ministry confirmed the number of the bodies found at the moment. Earlier, a source in emergency services of the region told RIA Novosti about seven bodies found at the site. Bodies of 10 victims of Russia's Tu-154 aircraft crash near the resort city of Sochi have been recovered, the Russian Defense Ministry confirmed Sunday. The identification of the remains of those killed in the Tu-154 crash near Sochi would require forensic genetics, chief psychiatrist of the Russian Ministry of Health Zurab Kekelidze told RIA Novosti. He also added that the specialists of the Serbsky State Scientific Center for Social and Forensic Psychiatry would consult experts of the doctors in Sochi, if necessary. The police forces in the Russian resort city of Sochi were mobilized after receiving the information about the Tu-154 aircraft disappearance from radars, the Russian Interior Ministry's administration for southern Krasnodar Territory said Sunday. The Sochi International airport is operating in the ordinary course, the scheduled arrivals and departures are not canceled, RIA Novosti correspondent reported from the scene. Psychologists will assist the relatives of those killed in Tu-154 crash at the building of the Alexandrov ensemble, chief psychiatrist of the Russian Ministry of Health Zurab Kekelidze told RIA Novosti. "Our employees have been instructed in the morning... there are actors, singers of the Alexandrov ensemble among the victims. We have specified where their center is and, as far as I know, our specialists have been sent there. If the relatives will be coming there, we will provide with them with all necessary assistance. In addition, they will be given phone numbers of our hotline, which is located in the Serbsky State Scientific Center for Social and Forensic Psychiatry," Kekelidze said. Russian President Vladimir Putin declared 26 December, 2016 a day of national mourning for those killed in the crash of Tu-154 in Sochi. He also added that the crash would be thoroughly investigated and all necessary assistance would be provided to all those affected by this tragedy. A nationwide day of mourning will begin in Russia on Monday, December 26, to honor the memory of those perished in the Tu-154 aircraft crash over the Black Sea earlier on Sunday, Russian President Vladimir Putin said. Young ballet dancers, musicians, journalists, officials of the Russian Defense Ministry are among the victims of this awful tragedy. — Илья Белоус (@iliabelous) 25 декабря 2016 г.
Один из погибших #Ту154: Губанков Антон Николаевич - директор департамента культуры Министерства обороны РФ. — Замполит (@ComradZampolit) 25 декабря 2016 г.
На борту пропавшего #Ту154 летел ансамбль песни и пляски армии РФ им Александрова, выступить в честь НГ для наших Героев в Сирии. — Телеканал ЗВЕЗДА (@zvezdanews) 25 декабря 2016 г. The decision to suspend Tu-154 flights or to remove the plane's withdrawal from service would be premature before the crash investigation ends, head of the Russian Ministry of Industry and Trade Denis Manturov stated. "There are a great number of planes in the world, taken out of production, but still operated. The service life limit of this kind of aircrafts is 40 years, and if you take the foreign analogues, some of the aircraft have a run period of 60 years, so in the aviation industry there are completely different principles of resource assignment and the work cycle. Therefore, such a decision today would be premature," Manturov said journalists. He also answered questions concerning the halting of Tu-154 flights, saying that "such a decision is up to the operator". "First you need to carry out the investigation and to understand the causes, and then take one or another decision," the Minister said. It would be premature to decommission the Tu-154 aircraft, Russian Industry and Trade Minister Denis Manturov said Sunday, in the wake of a plane crash over the Black Sea. People in Moscow bring flowers outside the building of the Alexandrov ensemble to commemorate the victims of the Tu-154 plane crash. Seven bodies found at the crash site of the Russian Defense Ministry's Tu-154, a source in emergency services of the region told RIA Novosti. The circumstances of the crash of Tu-154 will be thoroughly investigated, necessary assistance will be provided to all those affected by this tragedy, Russian Prime Minister Dmitry Medvedev stated. The Prime Minister also expressed his condolences to the families, friends and colleagues of the passengers of the crashed aircraft. "This terrible tragedy has claimed the lives of people, full of strength and plans. Journalists, soldiers and musicians of the famous Alexandrov ensemble are among the victims. They flew to Syria with a very good and peaceful mission. This bereavement is impossible to accept ... it is an irreparable loss. Millions of people share this tragedy," the Prime Minister said. Russian Prime Minister Dmitry Medvedev on Sunday expressed condolences to families, colleagues and friends of victims of Russia’s Tu-154 plane crash, promising a thorough investigation into the catastrophe. The area of the crash is specified, the survivors are not reported at the moment, the Russian Ministry of Defense stated. According to the Russian Defense Ministry, the ministreal commission led by the Russian Transport Minister Maxim Sokolov left for Sochi to investigate the Tu-154 crash. Russian Defense Minister Sergei Shoigu personally supervises the rescue operations at the crash site of Tu-154 in Sochi from the National Control Center. The criminal case initiated over the crash of Russia’s Tu-154 aircraft in the Black Sea was transferred to the central department of the Russian Investigative Committee, a representative of the committee, Svetlana Petrenko, said Sunday. Two ambulances, three psychologists are currently on duty in the Sochi airport. The medical services of the Krasnodar region formed 48 emergency teams in total, five more are on standby. Russian Defense Ministry's Tu-154 near Sochi, was drawn off in 1983, the total flight time of the plane - 6689 hours, the Russian Defense Ministry stated. Five bodies of Tu-154 crash victims were found at the crash site in Sochi. The Russian Federal Service for Employment and Labor Relations sent their representatives to Sochi to investigate the incident. The families of the victims will receive insurance payments, the ministry assured. Elizaveta Glinka, famous Russian charity leader was reportedly among the passengers of the crashed aircraft, delivering medication for a university hospital in the Syrian Latakia. Her charity fund, "Fair Help", provides material support and medical aid to those who needs it. Dr. Elizaveta Glinka, or Dr. Lisa, as she is known in Russia and Ukraine, is a doctor who gives hope to those who have lost it. She is also a blogger and a charity activist. The head of the presidential Human Rights Council Mikhail Fedotov was going to fly to Syria with Elizabeth Glinka. "I knew that she was going there. Moreover, we were going to fly together, but unfortunately, only her was allowed to go. And I know that she went there to bring medicines. This is not a tour, not a pleasure trip, she was carrying medication to a university hospital in Latakia," the head of the HRC said. Moscow Mayor Sergey Sobyanin expressed his condolences to the relatives of people killed in the crash of Tu-154 in Sochi. He also instructed the Department of Social Protection to provide the necessary assistance. — Сергей Собянин (@MosSobyanin) 25 декабря 2016 г.
Russian President Vladimir Putin instructed Prime Minister Dmitry Medvedev to form and to lead the state commission to investigate the crash of the Russian Defense Ministry's Tu-154 in Sochi. Russian President Vladimir Putin ordered Prime Minister Dmitry Medvedev to set up a commission to investigate the Tu-154 aircraft crash in the Black Sea, the Kremlin’s press service said Sunday. Russian President Vladimir Putin expressed his deepest condolences to the families of those killed in the crash of Tu-154 in Sochi, Kremlin spokesman Dmitry Peskov said Sunday. Investigators and criminologists of the Russian Investigative Committee also sent to the site. "Four marine vessels and five helicopters are now involved in the search operations, as well as unmanned aerial vehicles. The forces and facilities increasing [in the area]" - Russian Defense Ministry spokesman Maj. Gen. Igor Konashenkov said. 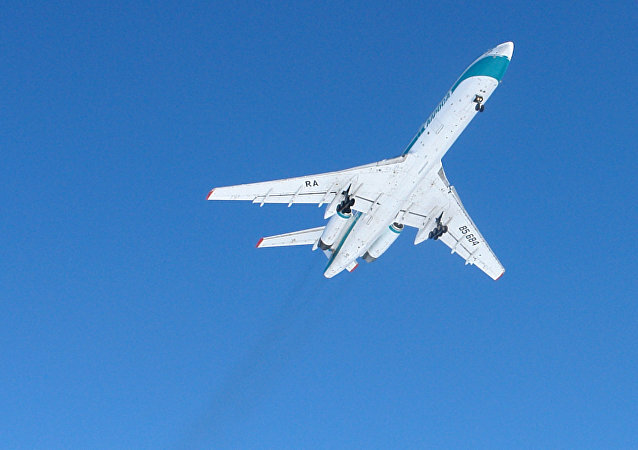 The Russian Emergency Ministry plans to send rescuers and divers to the area. The Russian Defense Ministry is drawing more resources in the search operation in the area of Tu-154 aircraft crash, the ministry's spokesman, Maj. Gen. Igor Konashenkov, said Sunday. 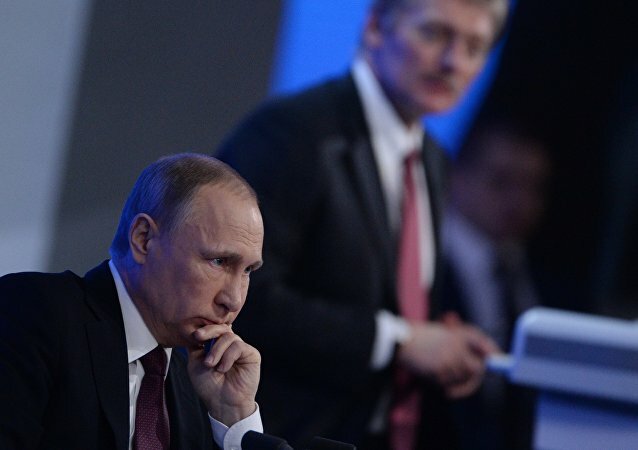 Russian President Vladimir Putin is informed about the new details on the rescue operation of the Russian TU-154 military plane and is waiting for the situation with the crash to be fully clarified, Kremlin spokesman Dmitry Peskov said Sunday. According to the list of passengers, published by the Russian Defense Ministry, nine journalists were among the passengers of the crashed Tu-154. Their colleagues express condolences over the plane crash. — Первый канал (@channelone_rus) 25 декабря 2016 г. — НТВ (@ntvru) 25 декабря 2016 г. Journalists, military personnel, 64 musicians and the head of the Axandrov Ensemble, an official army ensemble of the Russian Armed Forces, were onboard of the crashed Russian Defense Ministry's Tu-154. The Russian Defense Ministry published the list of the passengers of the crashed aircraft. The plane with some 92 people onboard, including 84 passengers and eight crew members lost contact with land while flying over the Black Sea, the source said. The priliminary data shows that the disappeared plane was heading to Syria's Hmeimim airbase. According to the source, the possible reasons for the alleged crash could be technical malfunction or pilot error. 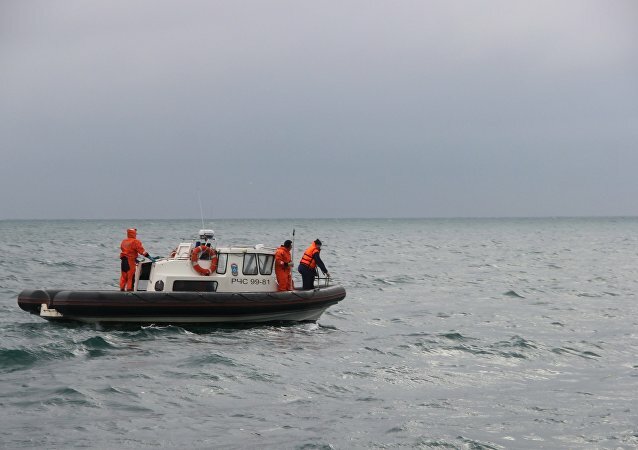 The source in the law enforcement services also told RIA Novosti that the wreckage of the crashed Tu-154 scattered along the coast around the area of 1.5 km (0.9 miles), at the depths ranging from 50 to 100 (0.3-0.6 miles). "According to update information, the Tu-154 crashed in the sea seventh minutes after departure five kilometers from the coast, at depths ranging from 50 to 100 meters, close to Anapa" a spokesman said. The first body has been found 6 km from Sochi coastline following the crash of a Russian Tu-154 airplane in the Black Sea, Russian Defense Ministry spokesman Maj. Gen. Igor Konashenkov said Sunday. Russian Defense Ministry spokesman Maj. Gen. Igor Konashenkov said Sunday that a total of 92 people were on board of Tu-154 that crashed in the Black Sea. At this point, it appears we did not receive data from the Russian Tu-154 that crashed after departure from Sochi. — Flightradar24 (@flightradar24) 25 декабря 2016 г. Different reasons, including technical malfunction or a pilot's error can be behind the crash of the Russian Ministry of Defense's Tu-154, but the version of the terror attack is excluded, the chairman of the Federation Council Committee on Defense and Security Viktor Ozerov stated. "I rule out version of the terror attack completely. It is the aircraft of the Ministry of Defense, the airspace of the Russian Federation, there can not be such a version," Ozerov said. According to him, there are two possible reasons of the tragedy - a technical failure or a piloting error. "The plane had to make a U-turn after take-off over the sea, may took the wrong direction," the chairman said. The Russian Investigation Committee launched criminal case on the Russian Defense Ministry's plane that crashed in the Black Sea. Local media reports, citing the Investigation Committee's representative Svetlana Petrenko, that military investigators seize documents and interrogate persons who prepared the crashed Tu-154 to fly to Syria. "We took comprehensive measures to establish all the circumstances of the incident. We are withdrawing preflight documents, interrogating officials who supervised the flight and the technical personnel responsible for the preflight acquisition and refueling" Petrenko said. Russia’s Investigative Committee has launched a criminal case into the crash of Tu-154 military aircraft in the Black Sea, a representative of the committee said Sunday. Both the Russian Emergencies Ministry and the Russian Defense Ministry confirmed the crash of the missing Tu-154, saying that the debris of the aircraft and alleged personal belongings of passengers were discovered in the Black Sea. Local media reports, citing sources in the Emergencies Ministry of Russia that the ministry confirmed the crash of the missing Russian Defense Ministry's Tu-154, saying that the tragedy happened in the Black Sea. Russian Defense Ministry's Tu-154 carrying some 91 people crashed in the Black Sea, not far from the Sochi sea coast, sources in the rescue services said local media. The debris of the lost aircraft's chassis found in the area. 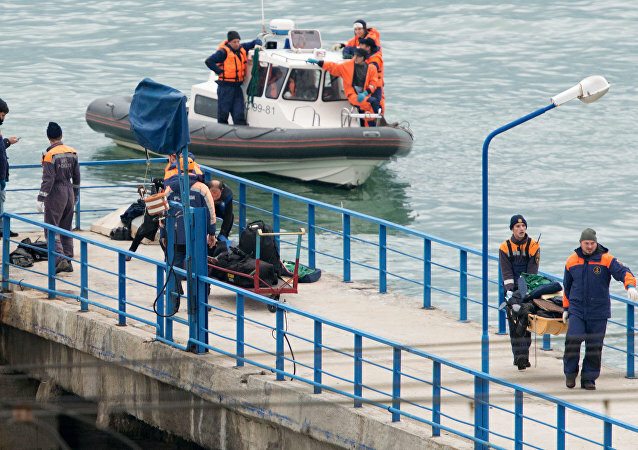 Russian local media reports, citing sources in the rescue services, that the rescue team discovered the possible crash site at the seaside of Sochi. The sources also say that the plane possibly crash during upward flight and that all the passengers and the crew unlikely to survive the crash. No emergency signal was received from the plane. We are aware of reports of a missing Russian Tu-154 that departed Sochi. We are checking now if we received data from the aircraft. A source in the law enforcement agencies told RIA Novosti that a Mi-8 helicopter, several vessels were sent from Sochi to the area of the possible crash of missing TU-154. The source also added that that several Ka-32 helicopters and a Mi-8 helicopter in Gelendzhik also set at ready. Russian Defense Ministry's Tu-154 carrying some 91 people has disappeared from radars after departing from Russia's southern city of Sochi, a source in the country's Emergency Ministry told RIA Novosti.